The State of Connecticut has motioned to dismiss a legal challenge to its new casino bill by MGM Resorts International. 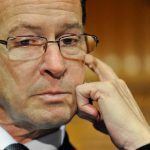 State Governor Daniel P Malloy recently signed into law a bill that would pave the way for a tribal casino in the north of state along the Massachusetts border, just miles from where MGM plans to build an $800 million casino resort. Connecticut is concerned that the embryonic Massachusetts casino industry, established through legislation passed in 2011, will hurt its two already ailing casinos, Foxwoods and Mohegan Sun. 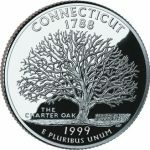 Connecticut has sanctioned the Mohegan and the Mashantucket Pequots tribes to operate the casinos on sovereign tribal lands in its southeast since the early nineties in return for a portion of the profits. But both properties were hit hard by the global economic downturn and are each over $1 billion in debt. The new bill would, subject to public vote, permit the two tribes to group together to build a satellite casino on the Massachusetts border. 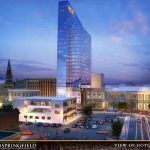 It’s a direct challenge to MGM in Springfield, which has made no secret of its desire to attract some 40 percent of its visitors from Connecticut. It’s also a controversial move, because a satellite casino near the border would not be situated on tribal lands and therefore would require Connecticut to amend its constitution, hence the public vote. MGM seized on this point, launching a lawsuit last month that demanded a federal court to declare the bill “invalid, null, and void in its entirety.” Since only the two tribes are permitted to operate casinos in Connecticut, and this right has been extended to them outside tribal land, the bill is unconstitutional in its stifling of fair commercial competition, argues MGM. 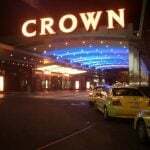 “MGM is ready, willing, and able to compete for the opportunity to develop a commercial casino gaming facility in Connecticut, but is excluded by the act from competing for this opportunity,” reads the complaint. However, in the motion to dismiss, Connecticut Assistant Attorney General Robert Deichert argues that MGM has misunderstood the nature of its new bill. 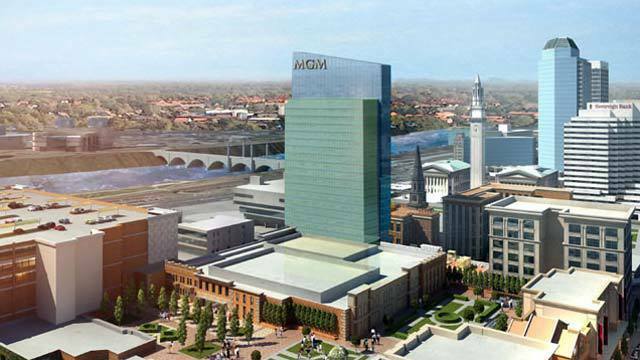 Furthermore, the fact that MGM, under the terms of its license in Massachusetts, is prohibited from building a casino within 50 miles of the MGM Springfield site means that the company is not being commercially discriminated against. It could not build a casino in north Connecticut even if Connecticut wanted it to. “Put simply, [the gaming act] has no impact on MGM’s ability to take whatever steps it chooses to take toward developing a casino in Connecticut,” said Deichert in his motion. The General Assembly has not allowed the Tribes to operate a third casino at this time. Rather, it passed Connecticut Special Act 15-7. SA 15-7 imposes certain requirements on the Tribes in connection with any efforts under the Act to move toward a third casino, including that the Tribes operate jointly even though they are direct competitors) and that the Tribes submit monthly status reports to twelve separate state officials or entities regarding any negotiations toward a development agreement with a municipality, to ensure the process is fully transparent. The gist is, MGM would in fact be welcome to apply for a license in Connecticut, provided it’s nowhere near Springfield, it’s just Connecticut would have to pass a law another law to allow it, and we’re thinking they probably wouldn’t.